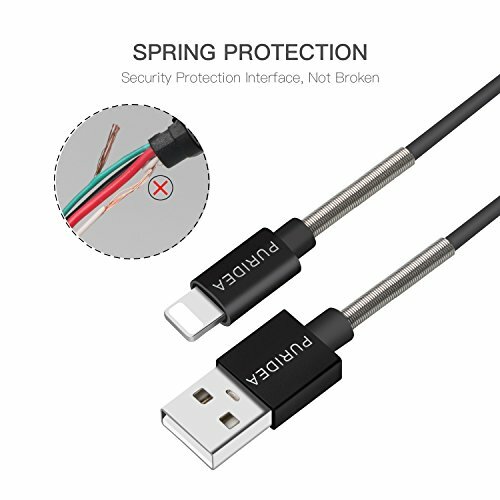 8Pin Charging Cable with anti-resistant aluminum alloy connectors, 100% compatibility to transmit data stably and charge fastly without error messages. 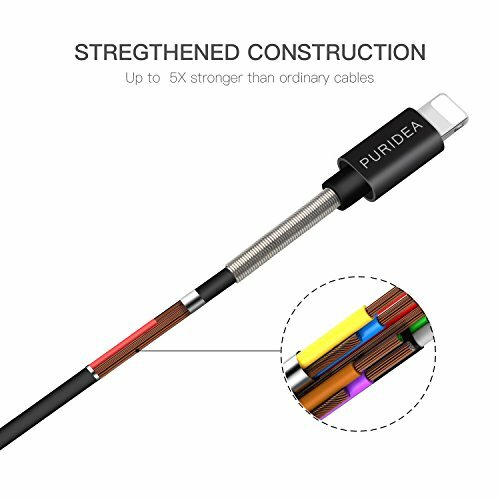 The TPE wire makes these cables incredibly durable and tangle-free. 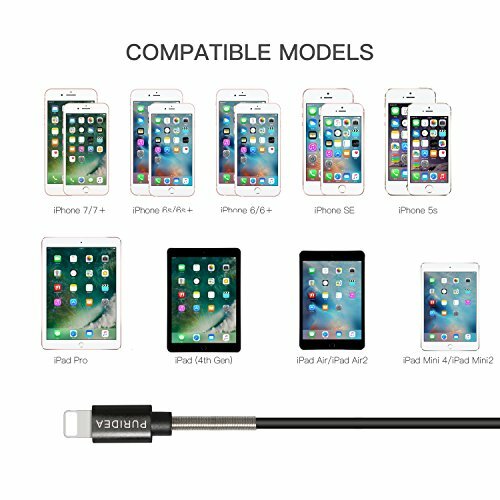 You can get a 7inch 5Pack iPhone USB Cables respectively. It comes with 1 Year Worry-free Warranty and full support from Puridea【Intelligent Chip】: Adopt Non-Mfi Chip, provided with charge protection. ( Anti-high voltage, anti-high current, anti-overheating).Support 2.4A current(Max) and the latest IOS system. 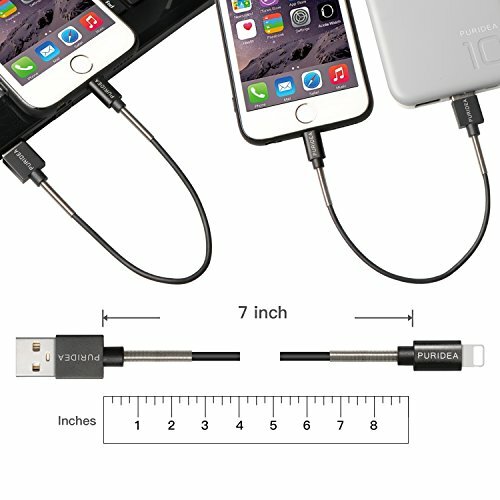 【7-Inch】: The length is especially designed for Power Bank, Charging Stations and Laptops. 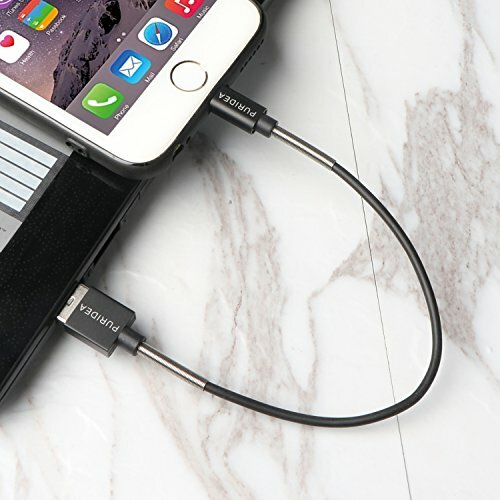 Easy to carry, no knot, charge and data transfer faster. 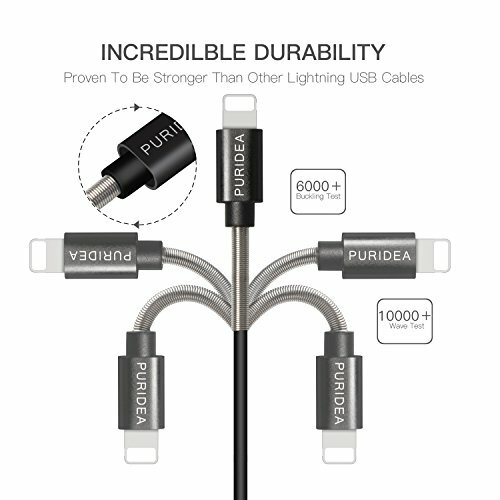 【What you get】: 7 Inch Puridea Lightning Cable X 5. Six months free return and refund service, 12-month warranty and friendly customer service. Any questions or product damaged please feel free to contact us.